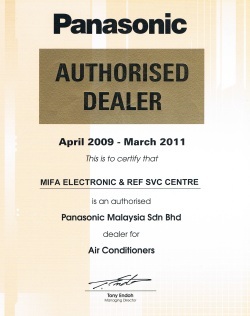 The York Ceiling Cassette type A & C series of air-conditioners are ideally suited for use in the offices, classrooms or retail shops in Kota Kinabalu, Sabah. The York Ceiling Cassette A & C series are available from 1.0hp to 5.0hp, depending on the model. 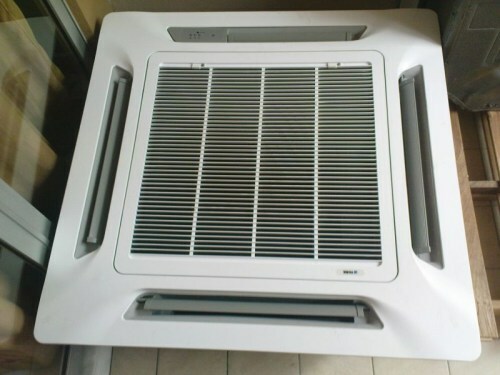 Suitable for any homes, offices or workplace, or any large area that require cooling. Ionizer – Negative Ionizer filters, deodorizes, and sterilizes indoor air. Excellent Air Distribution – Exclusive 4 way air-flow and auto air swing. Self Diagnosis System – To detect and indicate any malfunction through LED lights. Coil Anti-freeze Control – Self protection system to prevent coil frosting to extend compressor life. 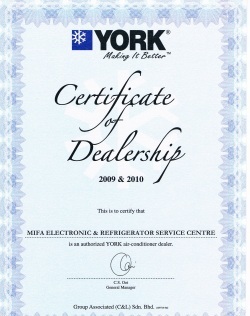 York 5 Years Warranty – For the compressor.